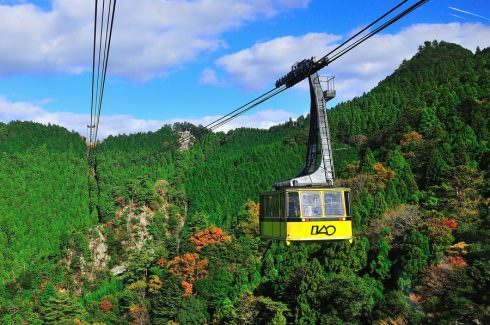 This is the longest ropeway in western Japan, with a large car that holds 101 passengers. It takes about 10 minutes to reach the mountain ridge that holds Tairyuji temple, the 21st on the Shikoku pilgrimage circuit. There is a pleasant walking trail along the ridge. *Children who have not entered elementary school are admitted for free with an adult ticket. Take the Tokushima Bus or at the route bus terminal in JR Tokushima Stn. (approx. 1 hr 20 mins). Get off at the bus stop "Wajikihigashi" then walk for 15 minutes.